Maybe you have to send someone a form to fill out by hand. You would expect empty lines in a Microsoft Word document would be easy to create. And to be honest, they are! But the method to do so may not be so obvious. 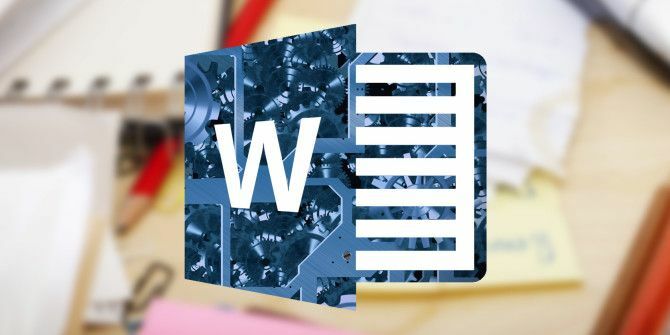 So before you rush ahead and ready your document for printing How to Print Microsoft Office Documents the Right Way How to Print Microsoft Office Documents the Right Way Does it sometimes seem impossible to print documents exactly the way you want? We can help! We show you all your printing options and help you pick the right settings for perfectly printed documents. Read More , check out this formatting trick that helps you to create neat blank lines in Microsoft Word forms. The Tab Leader method is one of the speediest ways to create a blank line for a form. This method uses tab stops in a document to extend your blank line to the precise point you want it to end. Write the first label for the text entry for your form. For example: Name. Separate it from the information that will go into the blank line with a colon, dash, or any other character. Then, hit the Spacebar to insert a gap before the blank line starts. Go to the Ribbon > Home > Paragraph group on the toolbar. Click the downward pointing arrow to open the dialog box for the paragraph settings. Click the Tabs button at the bottom of the dialog box. In the Tabs dialog box, click Clear All. Under Tab stop position, type a number that corresponds to the number of inches you want the line to extend from the left margin. For example, if you want the line to extend 5 inches from the left margin, type 5″. Also, select Right for the Tab Alignment, and choose 3 as the Leader to get a dashed line. What is a Leader? Microsoft Word uses either dots, dashes or solid lines as leaders. The leader style is denoted next to the numbers. To finalize the settings, click Set and then OK to return to the document. Place the cursor where you want to start the blank line. Press the Tab key on your keyboard, and a dotted line be drawn on the page the insertion point to the point where you had set the right tab. Hit Enter and type the label for the second field entry (for e.g. Address:). Again, press Tab to insert the second dotted blank line. Repeat the process for all your fields you want displayed in your form. Thanks to the use of tabs, you can align all the blank lines neatly before you send the document to the printer. Where do you apply leader tabs in a Word document? Maybe you use it in forms or even in a table of contents. Tell us your favorite formatting trick.